Peggy A. Kimble, 68, passed away February 5, 2019. Visitation will be 9-11AM, Saturday, February 9 at Park Lawn, 8251 Hillcrest Rd. ; private placement in Memorial Park Cemetery. 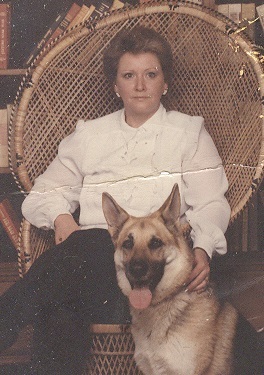 Peggy was preceded in death by her husband Terry J. Kimble, her parents, her sister and her beloved pets. She is survived by her three children; seven grandchildren; one great granddaughter; her brother and her sister. Visitation will be 9-11AM, Saturday, February 9 at Park Lawn, 8251 Hillcrest Rd. ; private placement in Memorial Park Cemetery. So sorry for the loss of your mother, sister and good friend. Healing prayers for your family and everyone who knew this wise, wonderful woman. She always had a smile whenever we would see on another and know she is with your dad and other loved ones that have gone on before. I am so sorry to hear about your mother. Peggy was always smiling and making everyone around her feel loved. Prayers and peace to the entire family during this difficult time. Love you all! Im so sorry for yalls loss. My prayers are with you and may she be wrapped with the wings of heavenly angles. Peace be with all of you.